A woman whose husband was killed in the midst of the pair's divorce has been awarded more than £100,000 in damages. Cathryn Craven brought a £676,985 claim against driver Terry Davies, who ploughed into Jayson, 48, in June 2014. She had argued there was a chance of reconciliation, while Davies' lawyers had said the marriage was doomed. A High Court judge agreed the union could not be saved, but found the defendant liable for maintenance payments Mr Craven would have paid. Mr Craven died instantly when he was hit by Davies, who was doing 86mph in a 40mph zone in June 2014. After a relationship of nearly 30 years, the Cravens separated in January 2014 after the husband began an affair, and Mrs Craven petitioned for divorce. Had he not been killed, her case argued, her anger was likely to have been eased by the passage of time, and her desire for divorce would have lessened as the financial consequences became apparent. The case brought by Mrs Craven hinged on whether there would have been a reconciliation. In a ruling made public on Thursday, the judge said she was determined to proceed with the divorce and would have done so, whatever advice she received, whether financial or otherwise. He said: "In these circumstances, regrettably, I am unable to find that there was a significant chance that, but for his death, the deceased and the claimant would have been reconciled." The judge said it followed that Mrs Craven's claim for loss of financial dependency was limited to what she would have received by way of maintenance payments. At the time of Mr Craven's death, he and his wife were in a "cooling-off period" before the divorce was finalised. Together with other sums covering bereavement, funeral expenses and awards to the children, the total damages amounted to £101,514. Mrs Craven, 50, from Coventry, brought the claim on behalf of herself and her three children. Her husband, who was married to her for 12 years. 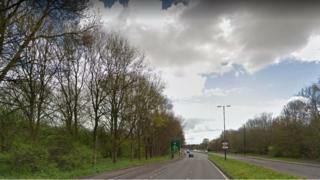 was struck as he crossed Fletchamstead Highway in the early hours. Davies was later convicted of causing death by dangerous driving and jailed for four years.